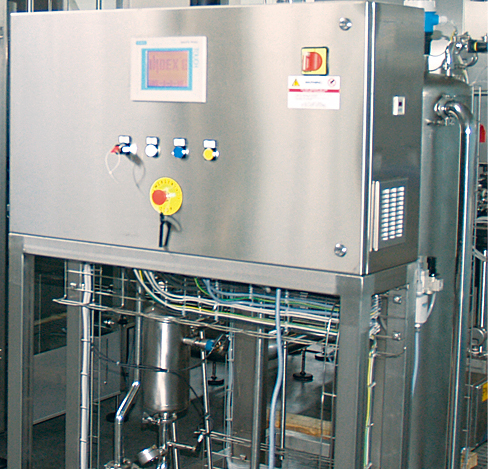 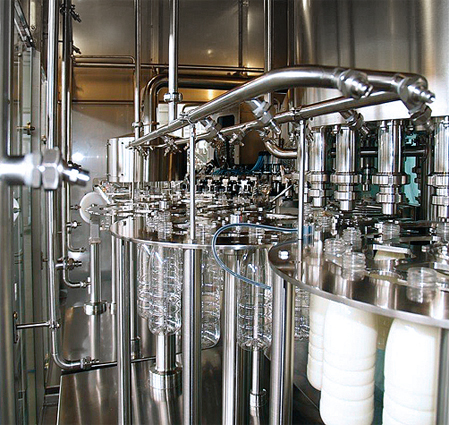 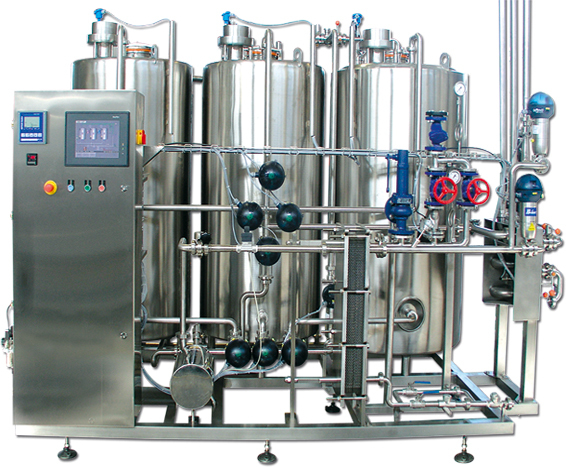 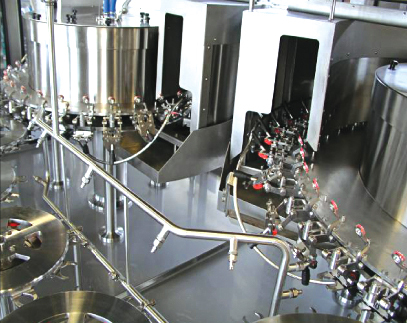 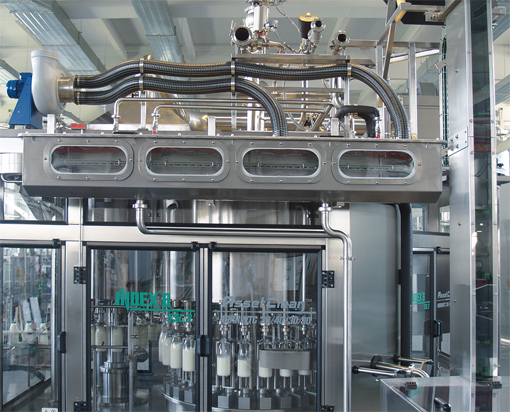 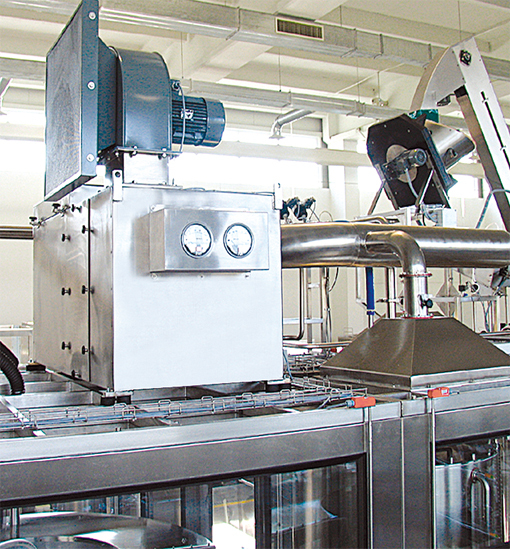 Automatic washing and sterilization of the product tank and the filling valves. 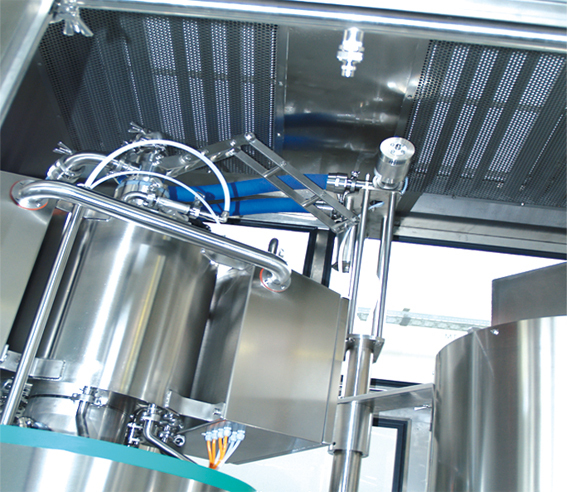 Automatic washing and sterilization of the external parts in the machine chamber by dedicated nozzles and spherical spray balls. 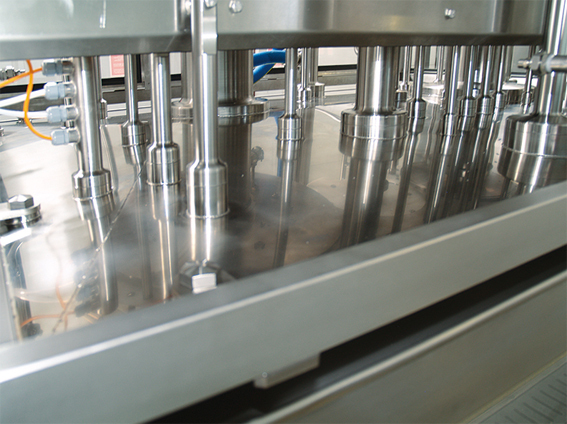 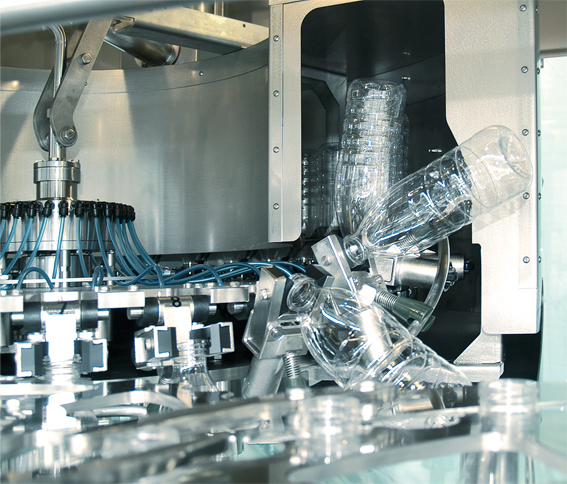 Overpressure supply of a laminar flow of sterile air in the clean zone for filling and capping in order to prevent contamination arising from the surrounding environment. 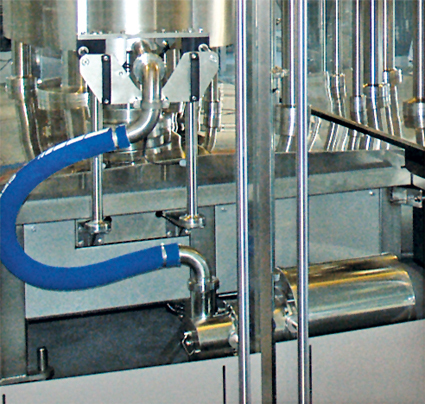 Centralized system for lead-off of the washing fluids and their return to the CIP system. 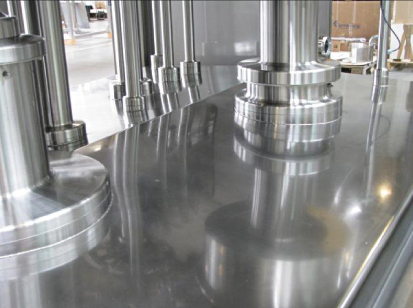 Highly inclined surfaces “Sloping Base”, welded to the main frame and plate, that serve as the bottom of the machine working zone and provide for quick and complete lead-off of any fluids and faster drying of the machine surfaces. 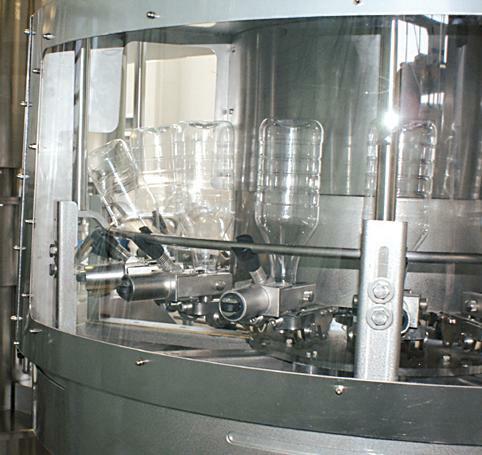 Freestanding safety fencing with safety glass full-area windows, allowing for easy access to the machine from all sides and perfect cleaning of the floor under the carrying construction. 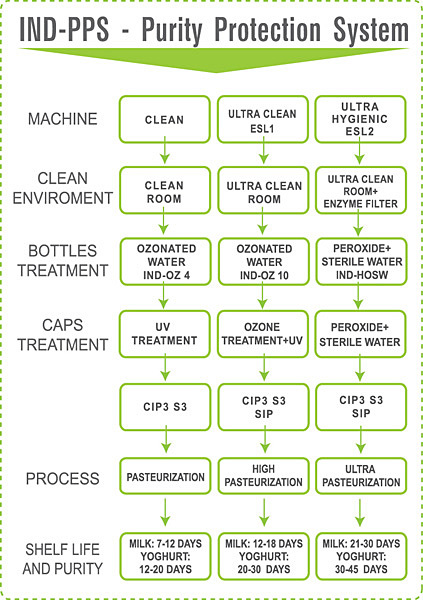 IND-CIP3 S3 – a dedicated CIP (cleaning in place) system for preparation of washing and disinfecting solutions. 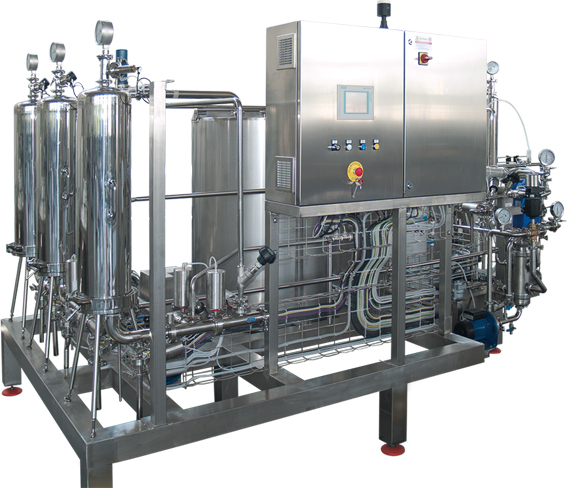 IND-HOSW – Device for preparation of hot hydrogen peroxide Н2О2 solution and sterile water, used for bottles and caps treatment (Log 5). 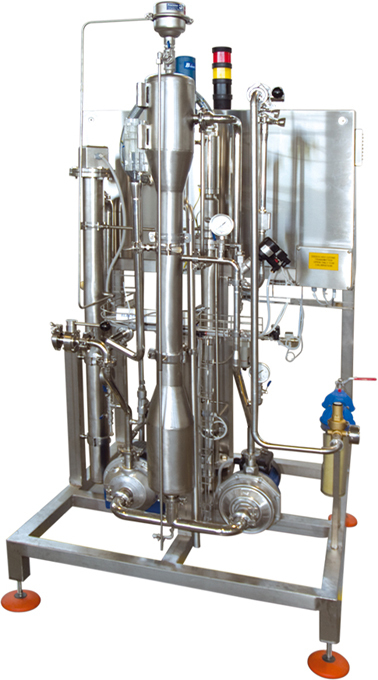 IND-HFAS – Device for preparation and supply of sterile air, utilizing HEPA filters.